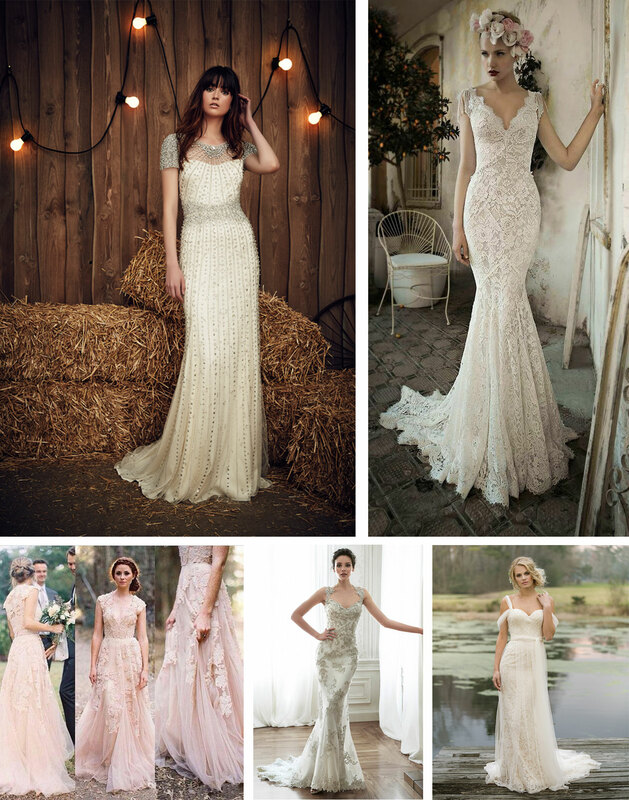 Planning a shabby chic vintage wedding in Somerset? Shabby chic style blurs the line between vintage and rustic. It’s a gorgeous theme that marries a home-made feel with effortless style. 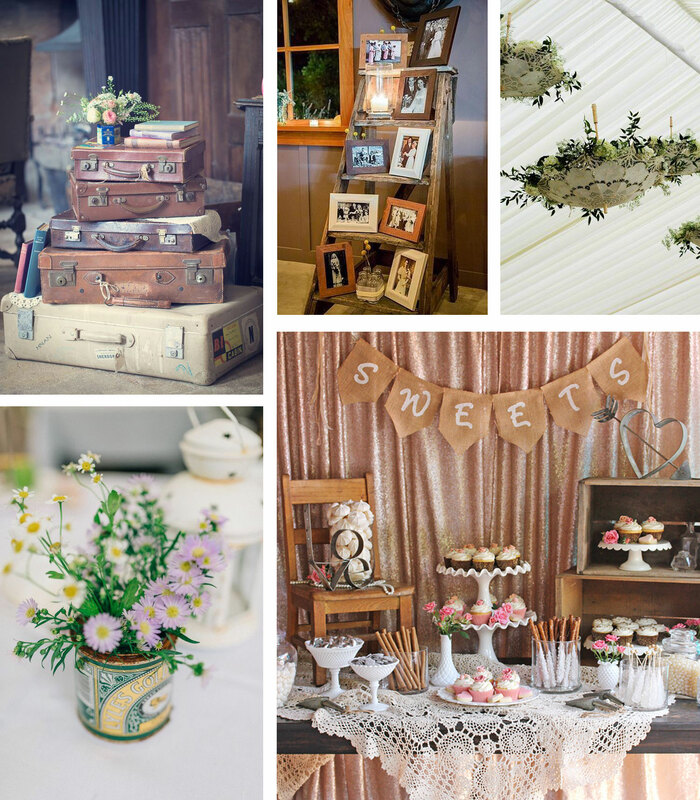 Here’s our ideas and inspiration for your decorations, dresses and food for a shabby chic vintage wedding. 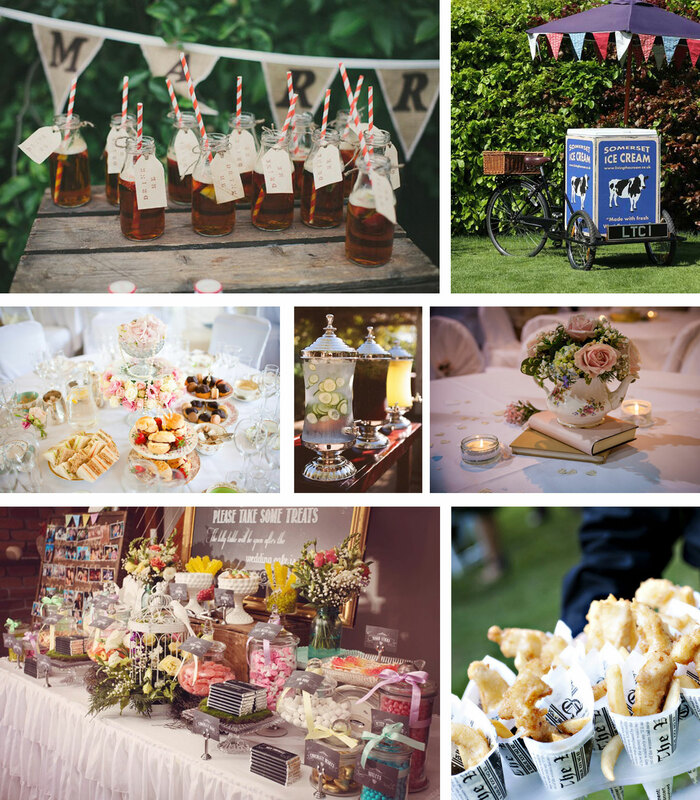 A shabby chic wedding theme offers so many choices for fantastic food! Tiered cake stands should be used for at least one course- choose to have your canapés served on these if a tower-effect won’t suit your sit down meal. Evening food can be whatever your heart desires… vintage themed fish and chips go down a treat.